Thaw the spinach and coarsely chop. Dice the celery, bell peppers and white onion. Combine the ground turkey sausage and turkey, spinach, celery, bell peppers and onion until thoroughly mixed. Add the eggs, thyme, cayenne, nutmeg, 1/2 teaspoon of garlic powder (if desired) and season with salt and freshly ground black pepper. 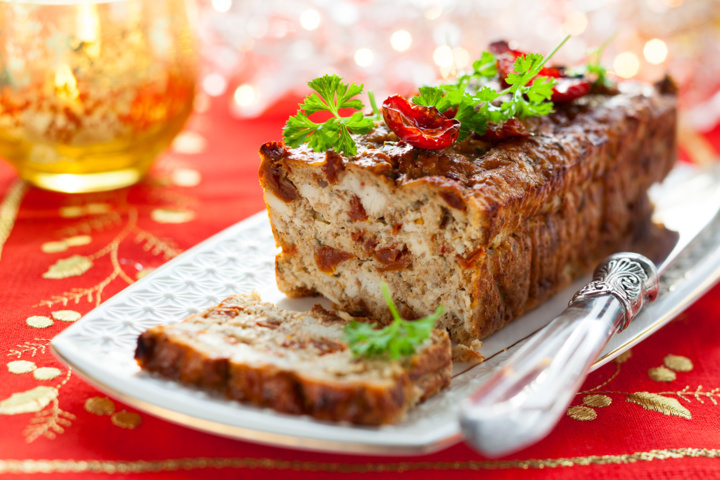 Distribute evenly and place in two standard quick bread pans (4×9 inches). Bake until cooked through and browned on top; about 55-65 minutes. Serve immediately or freeze in individual portions for up to 2 months.